Complexity science and complex adaptive systems have been studied in the hard sciences longer than in the social sciences or within the context of leadership and organizations, but people are catching on to the value they have to offer in the world of organizations. 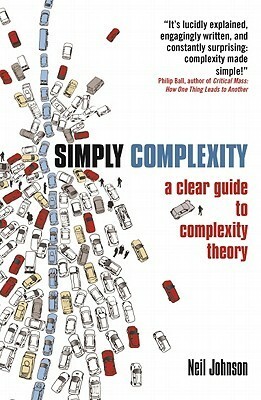 In Simply Complexity, Neil Johnson does a great job of introducing complexity theory, and I like the simple examples he uses early in the book. First, Johnson says, “At the heart of most real-world examples of Complexity, is the situation in which a collection of objects are competing for some kind of limited resource – for example, food, space, energy, power, or wealth.” While this might trigger memories of your college economics courses, take a step back, and you’ll realize business is nothing, if not a competition for limited resources. These limited resources are both within and outside your organization. Inside, especially in the busted economy of the past few years, organizations tend not to have enough people to get the work done. Outside, organizations are competing with others for customers and dollars. 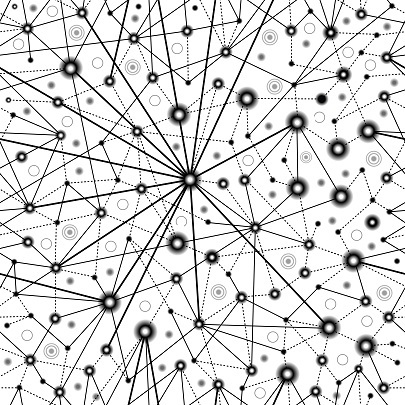 To go a step further, though, complex adaptive systems can be thought of as multiple networks of agents that are connected and interact in various ways and are capable of learning and adapting. The study of complexity itself can be thought of as the study of the emergent phenomena that arise out of those systems. One of the key elements of complexity is that the system does not require a “controlling hand” in order for phenomena to emerge from the system. The actions of the agents themselves will produce outcomes, and in fact, many of the outcomes the system produces couldn’t be created by an outside coordinator, even if someone were to try to replicate the outcome. Johnson uses a simple example of a traffic jam to illustrate this principle of emergence. Think of a daily commute. The agents are the people in the vehicles, and they all have knowledge about the traffic situation. That knowledge takes the form of memory, based on driving a particular route at a particular time of day in the past. There may also be additional information available to the agents, such as the road conditions reported on the news. Each of these agents needs to choose a path to drive to his or her destination. They use the information available to them to make their best guess at what route will be most efficient. In reality, they won’t know if they chose the best route until they see the actual traffic conditions on their way to wherever they are going. Imagine that at least one major route has a traffic jam. One of the things that makes complexity complex(as opposed to complicated – a car engine is complicated, but not complex, because it can be explained by its component parts, and its function is predictable) is the unpredictable nature of the emergent phenomena. You can easily argue that certain traffic jams are predictable, and that’s true, but look at it another way. Johnson explains, “… the precise nature of the crowd-like phenomena which emerge will depend on how the individual objects interact and how interconnected they are. It is extremely difficult, if not impossible, to deduce the nature of these emergent phenomena based solely on the properties of an individual object.” If you were to try to predict a particular traffic jam based on examining only one driver and the information available to him or her, you’d be hard pressed to do so. While Johnson’s book is not particularly written for business, it is full of examples of complex adaptive systems, and does a great job at making the principles of complexity understandable. I highly recommend the book. It gives a strong foundation of understanding which will allow you to take what complexity has to offer and visualize how your own organization is a complex adaptive system (in fact, it probably has multiple complex adaptive systems contained within it). 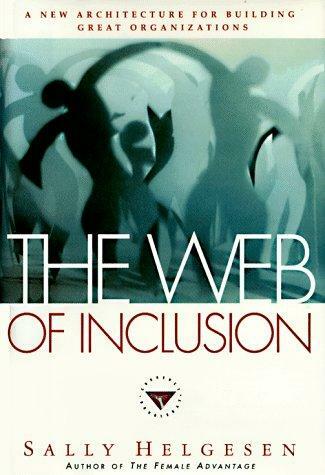 Sally Helgesen’s The Web of Inclusion, published in 1995, is by no means a new book on leadership, but it still holds many lessons that apply in today’s business environment. Billed as ‘A new architecture for building great organizations,’ Helgesen focuses largely on formal organizational structure and the role of individuals in that structure. She presents the concept of a web as preferable to the highly structured org charts that served industrial-age business better than they serve today’s knowledge-based organizations. Viewing an organization as a web, connections cross traditional departmental boundaries, and these non-traditional connections and the idea of flexibility are both central to the success of modern businesses. The world we live in today can be viewed in more complex terms and is changing more rapidly than ever before, often in a manner that is unpredictable. Helgesen describes her notion of a ‘web of inclusion’ “both as a pattern, a model for coherently ordering people and their tasks; and as a process, a way of thinking and acting, of behaving and solving problems as they arise” (p. 19). The web represents a flatter structure, with primary leadership residing at the central point of a roughly circular structure, with lines representing connections radiating outward from the center, and larger concentric circles also moving outward and representing other sets of connections between people in the organization. Additional characteristics of a real-life web hold a central place in Helgesen’s philosophy, as well. The web is organic and ever-changing. She believes the organic nature of a web is better suited to human function in general, providing an environment that is more comfortable for people to reside in. Individual resources can be shifted from one place on the web to another with the focus remaining on task, not on hierarchical position. A web is also fairly open at its edges, allowing for better flow of information at the edges of the organization, and from outside the organization. Empowering individuals that hold positions on the “front line” can eliminate bureaucracy and allow employees to act more quickly and effectively to benefit the customers and partners with which they interact. The primary principles Helgesen focuses on when examining the web from the perspective of process include: 1) Webs operate by means of open communication across levels, 2) Webs blur distinctions between conception and execution, 3) Webs create lasting networks that redistribute power in the organization, 4) Webs serve as a vehicle for constant reorganization, 5) Webs embrace the world outside the organization, 6) Webs evolve through a process of trial and error. (pp. 24-31). After describing what her concept of the web is, she goes on to share five detailed case studies of organizations that illustrate one or more of the characteristics of a web of inclusion, and analyzes their success based on these principles. The book is an easy read, and the case studies are engaging and interesting. Helgesen writes with an energy and excitement that quickly draw the reader in. 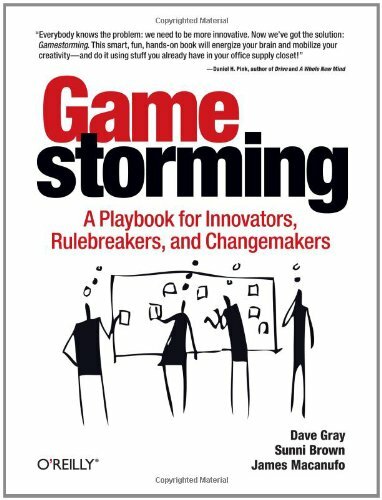 For a business title, this book reads more like a novel, especially in the case studies, and I found it difficult to put down. In a future post, I will look at how Helgesen’s concept of a web of inclusion aligns with the core principles of Complexity Leadership Theory, which relies on viewing organizations as Complex Adaptive Systems. Helgesen, S. (1995). The Web of Inclusion. New York: Doubleday.